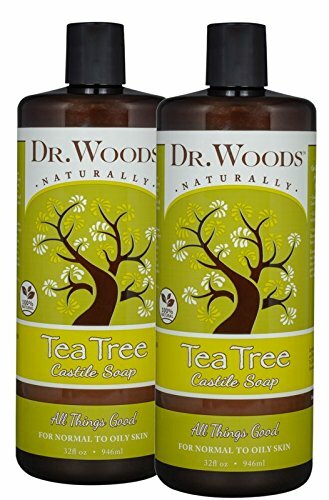 Dr.Woods Castile Soap is very mild and versatile for everyday as a body wash, facial cleanser, shampoo, and shaving lather. It is also excellent as a mild laundry detergent. Originating from Castile, Spain our soaps are vegetable based, containing no animal fat. Because our soaps are biodegradable, they are perfect for camping. Castile Soap incorporates the natural healing properties of olive oil with an invigorating scent. The olive oil in our soaps attracts moisture and, while holding that moisture close to the skin, forms a breathable layer preventing the loss of that moisture. 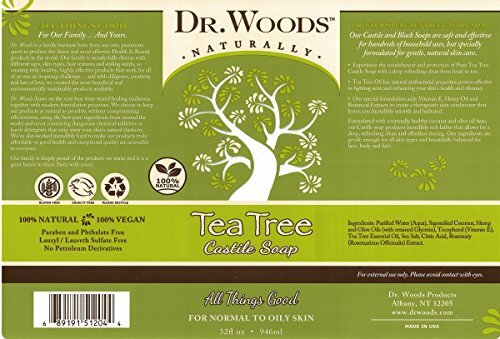 Dr. Woods Castile Soap does not contain any harsh detergents that can strip away skin's natural moisture. The fragrance refreshes and reinvigorates your skin and senses after a long, hectic day, while the Vitamin E rich lather leaves skin feeling naturally clean and dewy soft. Use this rich lathering liquid soap to gently cleanse hands and your entire body.